The following products in development and not yet available to users. Contact us directly if you have any comments or suggestions for these products. The station has compartments, each of which is capable of holding one or multiple medications of different formats(i.e. 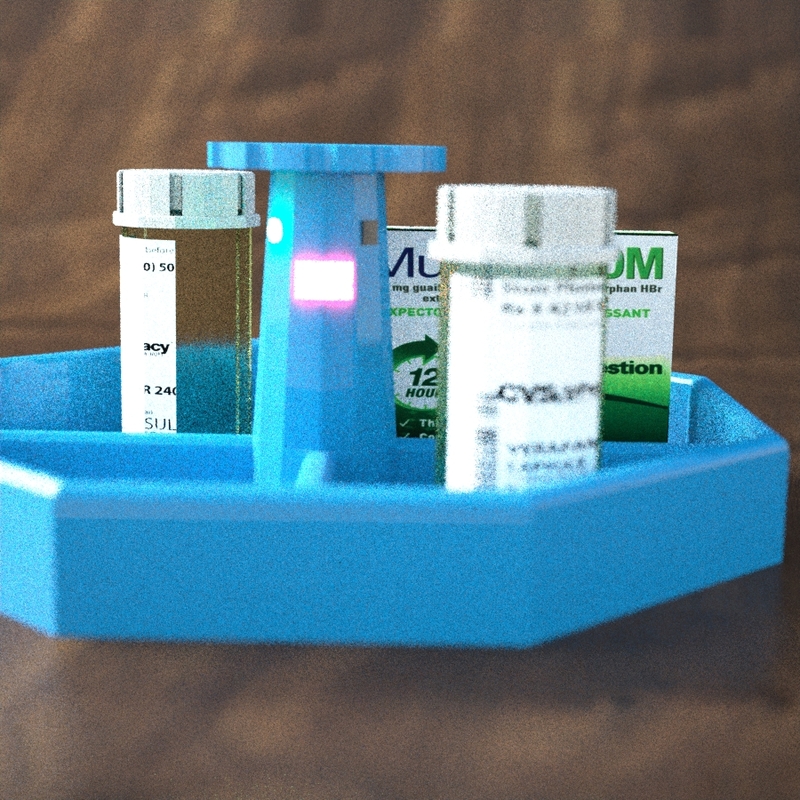 pill bottle, pill box, liquid, gels or syringes). Each compartment has its own fixed preprogrammed schedule so that all medication in a given compartment will be on the same schedule. The station also provides additional connectivity to smart devices, like armbands, smartphones, tablets, smartwatches, or any other remote alert device within a large home or professional homecare environment. The cabinet is a wall-mounted version of the multi-compartment medicine base station. It's as all the same features of the base station. but can also lock to prevent unauthorized or untimely access to medication.